Undercrank Productions has released Accidentally Preserved Volume Two, a second DVD of rare and obscure silent shorts featuring some great, forgotten comedians. This disc features the likes of Bobby Vernon, Lloyd Hamilton and Neely Edwards, and if those names are unfamiliar to you, that's all the more reason to pick up a copy of this very good collection. There are eight shorts, mostly comedies, and an animated commercial on this volume that were made between 1919 and 1929, all accompanied by Ben Model on the organ or piano. The collection starts off with a Bobby Vernon short, Why Wild Men Go Wild. Vernon was pretty big name in comedy shorts in the 1910's and 20's, appearing in over 200 films, but he never made the transition to sound and is now largely forgotten. This short shows the start as a peppy, energetic, and personable actor who is great in situational comedy. He plays the carousing roommate of a wealthy heir, Jimmy (James Harrison), who has to clean up his act when going visiting his friend's estate for the weekend. He puts on glasses and a boyish hat and impresses the father, but Jimmy's attractive sister (Vera Steadman) thinks he's a sap. She announces that she only likes wild men and gives him the brush off... so Jimmy and Bobby hatch a plan to have her meet someone really wild. Unfortunately, things don't go exactly as they had hoped. 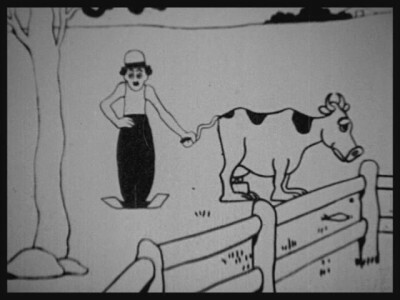 One of the films I was eager to see in this collection was Charley on the Farm, an animated Charlie Chaplin film. Chaplin didn't have anything to do with the script or animation, but he was supportive of these shorts created at Nestor and distributed by Universal. After all it kept his name in the all-too-quick-to-forget public's eye, and he wasn't one to be rushed when it came to his own films. This cartoon is one in a series directed by Pat Sullivan and animated by Otto Mesmer, the men would later be responsible for Felix the Cat, and after watching this earlier film one can see influence that Chaplin had on the popular feline. While this entry is an interesting cartoon, it's a little curious that Mesmer and Sullivan used standard cartoon-style gags rather than trying to mimic The Tramp's shorts. Instead "Charlie" takes a job as a farm hand and has trouble milking cows (he tries to crank the tails) and then 'dresses' the chickens in tuxedos before taking them in for dinner. 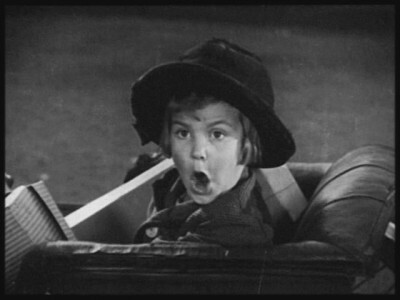 The Lloyd Hamilton short, Papa's Boy, is also fun but illustrates the difference between the good and great comics. While it has some funny gags, the film is basically an assorted jumble of jokes that are a bit strained. 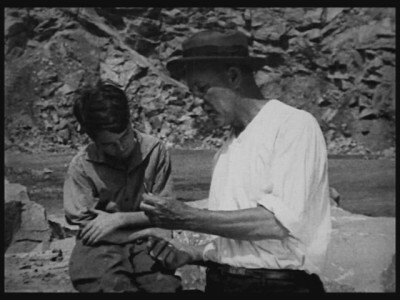 Lloyd is a butterfly collector whose father hires a man to take the lad out into the wild to toughen him up. The first half has Lloyd trying to catch a butterfly (he mistakes a tattoo on a woman's leg for the real thing and attempts to snag it with some extendable pincers) and then the film heads out to the forest where he gets stuck inside a tree and the guide tries to chop him out with an axe. It's not that the short is bad, it's not at all... you just have to work a bit harder to suspend your disbelief when compared with a Harold Lloyd or Buster Keaton short. 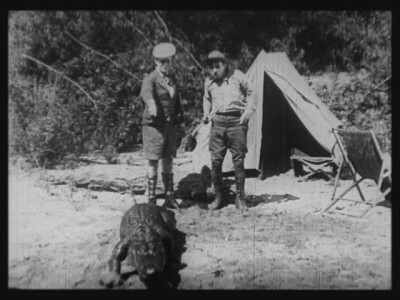 There is a great bit where Lloyd and his guide encounter an alligator. While most of it is done with a fake gator, there are a couple of shots with the actors sharing the scene with a live animal. I was pretty surprised. One short I really enjoy is "Big Boy" film Helter Skelter. The penultimate entry in a series of shorts, Malcom Sebastian stared as a young kid who gets into trouble. Adorable and with a lot of screen presence, Sebastian and the dog who costars with him are a great pair and it makes for a funny short. It's basically an extended chase scene, but a very enjoyable chase scene that's tightly scripted. Watching the white dog get covered in ashes, cleaned, and then covered again and again was a great running gag and the fact that they worked it in so many times was pretty impressive. Unfortunately the first reel is lost but the second one is presented here with a quick title card to bring viewers up to date with what they missed. 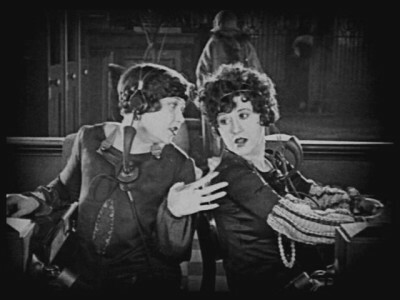 Another short that's worth seeking out is Sherlock's Home, an entry in the Telephone Girl series revolving around two roommates (Alberta Vaughn and Gertrude Short) who run the switchboard at a fancy hotel. In this installment (the fourth in the series) a prize fighter takes a shine to Alberta and tries to woo her with a trip to the beach and ring-side seats to his next fight. She's not interested however, and that just makes the champ even more determined. It's a nice comedy that worked well and was fun to watch. There's also an educational short, How Jimmy Won the Game, teaching children not to play with blasting caps. I remember PSAs in the 1960's warning of the same thing and I always wondered why people left explosives lying around for kids to find. The film is prefaced with the announcement that 500 children are injured every year by these devices used to detonate dynamite sticks, so I guess a lot of people did. In any case this shows the dangers of blasting caps and features a race to stop Jack, the star pitcher of a local baseball team, from hitting one with a rock just for fun. Jimmy, the son of the foreman at the quarry, warns Jack's mom about the danger her son is in and explains "If he blows his hands off we'll lose the championship!" Good thing Jack was a talented athlete of Jimmy might have let him get maimed. The audio accompanying these films is just as good as the soundtrack on the first volume. If you've ever seen a silent film with random music played over it (as public domain publishers often do) you'll know how much a good score adds to the viewing experience. Ben Model provides the music for these shorts, from scores he composed, and they are great. These tracks fit the subject matter and the music (preformed on both organ and piano) really helps to bring the films to life. There are no dropouts or other audio defects. These are exceedingly rare movies, some of them from the only print in existence, but the image quality is surprisingly good. There is some nitrate decomposition that's noticeable, and sometimes the detail isn't as sharp as it could be, but those instances are the exception rather than the rule. Taken from 16mm prints, the picture is has good contrast in general and is easy on the eyes overall. The only extra is a page saying thanks to the Kickstarter backers. All of the shorts in this collection are worth watching. They're fun, historically important, and feature some rarely seen comedians. While I did enjoy the first volume a bit more, this companion piece is well worth adding to your collection. Highly Recommended.